A local farmer in Bokeo. 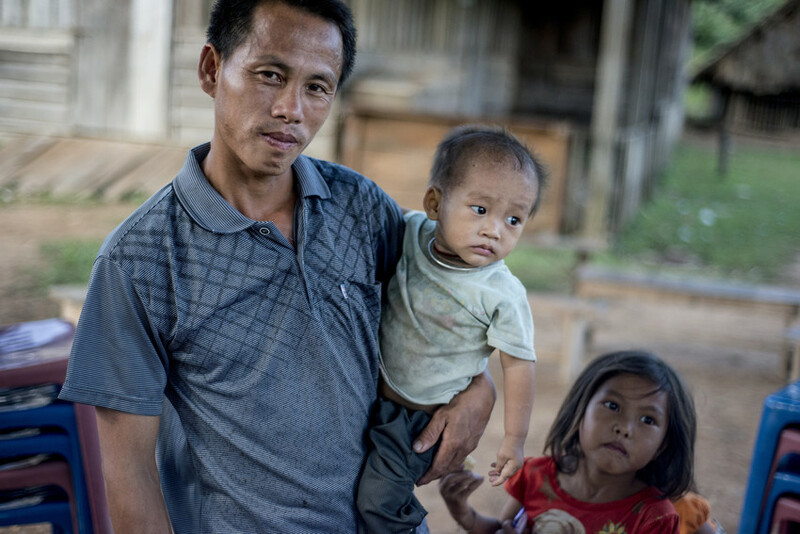 Gender inequality, amongst other pressing issues for Laos’ northern Bokeo province, has produced many negative consequences for local village populations. Female voices went virtually unheard in community gatherings, and as a result, valuable contributions from local women were often ignored. However, The Community Based Association for Mobilizing Knowledge in Development (CAMKID) has been taking progressive steps since 2013 to prevent this marginalization of female opinions. With the assistance of Oxfam in Laos, communities in Bokeo province adopted the Gender Action Learning System (GALS), a flexible and gender-sensitive development framework. Once they have received the proper training, members of local communities are encouraged to lead the effort themselves and illustrate on paper the root causes of the issues their communities face. By using such an approach, a population does not have be fully literate to begin implementing tangible solutions. In one village, the GALS apparatus has helped the local community grow their own vegetable garden and diversify their diet. For Mr. Huawalee, a local farmer and gardener, the assistance from CAMKID and Oxfam in Laos has varied his agricultural output, “Before, we used to grow rice in the mountains. Nowadays we also plant in the lowlands. We raise chickens and ducks as well, to use as food for our families. And we have a couple of buffaloes, which help with the rice paddies. Next to all of that, CAMKID and Oxfam helped us to start a vegetable garden last year…CAMKID helped out with planning and provided pumps for the water supply and seeds for the garden”. The diversification of Bokeo’s agricultural yield hasn’t been limited to just the final product, according to Mr. Reepaying, another farmer and gardener in the area, “Men and women work together: men supply water to the garden, while women collect the vegetables. Then the men drive the motorcycles to transport the vegetables, the women sell them in the marketplace. And it’s the women managing the income”. This community-led initiative has generated a more gender-balanced production method, many farmers have seen their own income increase. For Mrs. Jorthor, a farmer and mother of nine, the extra money has helped her family achieve a better quality of life, “The extra income we get from the garden helps us to pay for school for the children and buy things like kitchen equipment”. Villagers, like Mrs. Jorthor, hope to expand the reach of the GALS-orientated project with the assistance of CAMKID and Oxfam in Laos, and to sustain their newly acquired, more stable form of income, “Our community could get even more income from rubber trees but these take years to grow. The vegetables are a more reliable source of income”.